During the final nine days of 2013, I’m going to revisit nine memorable baseball moments from the year. My best baseball-related moment was getting Matt Harvey‘s autograph at Citi Field. When I go to weekend games, I try to arrive early enough for pre-game workouts. Sometimes, the players will stop and sign a few autographs on their way off of the field. Usually, it’s the middle relievers like Greg Burke, but sometimes you’ll see the more popular players do it too. On Banner Day, Harvey stopped and signed autographs for fans during the parade. That was the one day I didn’t bring anything to get signed, so I didn’t try. 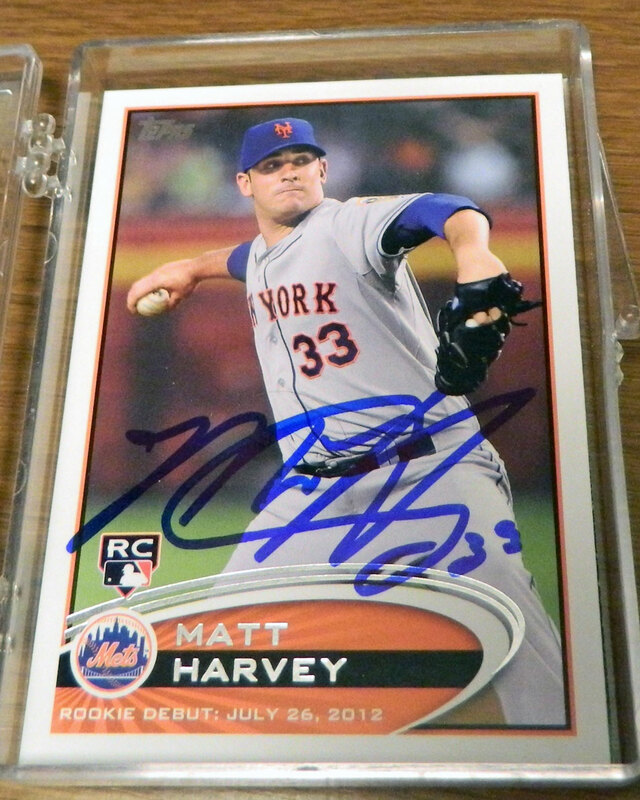 On June 30th – Zack Wheeler‘s Citi Field debut – I had my baseball cards, and I was one of the fortunate folks who walked away with Harvey’s signature. My smile lasted until Wheeler gave up four runs in the second inning, and didn’t return until backup catcher Anthony Recker was throwing his warmup pitches in the ninth inning.